Hue Cakes is one of Best Vietnamese food in the Middle of Vietnam. 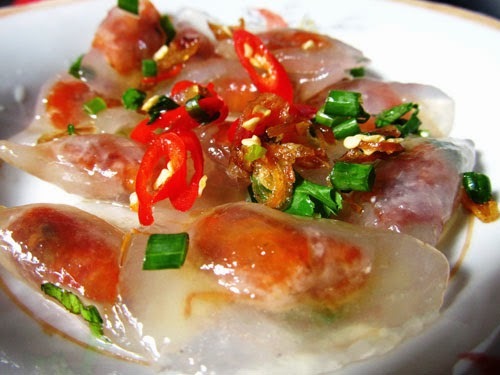 Thin rice flour cake with layers of crushed shrimp, when you eat one piece, you just want to eat more and more. Presentdays, this dish is really popular whole Vietnam. It is not only subtle but also simple, when you eat it once, you will remeber this flavor forever. From bloating fern disk, bloating fern tray, stearmed rice pancake with shrimp, tapioca starch with shrimp, glutinous rice cake ... all of dishes give an amazing feeling for everyone who have a chance to taste these cakes, one of Best Vietnamese Food. Hue Cakes just uses simple and traditional flour to be created. But it still create a unique specific, very "Hue" that we can not confuse with any dishes. Some people said that because the Middle Area of Vietnam is so poor, they don't have many expensive materials to cook except flour, potato and bean. Therefore, Hue people thought and created many kinds of food from these matertials. This is one of reasons why most Hue Cakes uses rice flour as the main material. If you are a fan of Hue cakes, you can go to Old Market (Ham Nghi Street, District 1) to enjoy it. 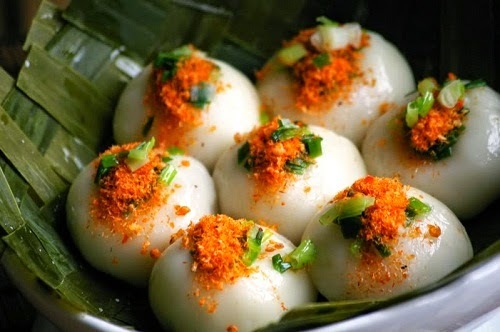 Tapioca starch with shrimp cakes (Banh Bot Loc) are not only pure, but also are tough, give you the great flavor with shrimp and meat stuffing. 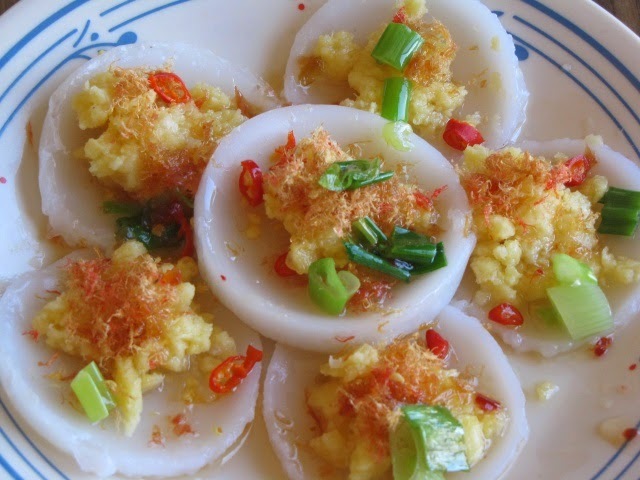 Glutinous rice cakes (Banh It) have an enough touch with green bean stuffing, really delicious. Bloating Fern cakes (Banh Beo) are fantastic as well. These best vietnamese food are not only too thick, but also not too thin, when eating, they are plastered with a little soft and smooth grean bean and fried small shrimp. It is really interesting. Vietnamese Meal rolls and meat pies can use with Hue Cakes. Sourish and Sweet Fish Sauces with a little hot red chilli can increase the flavor of these cakes. It is also cheap, just around from 15,000 VND to 20,000 VND for one dishes. You can choose Hue Cakes, Best Vietnamese Food any where you want.